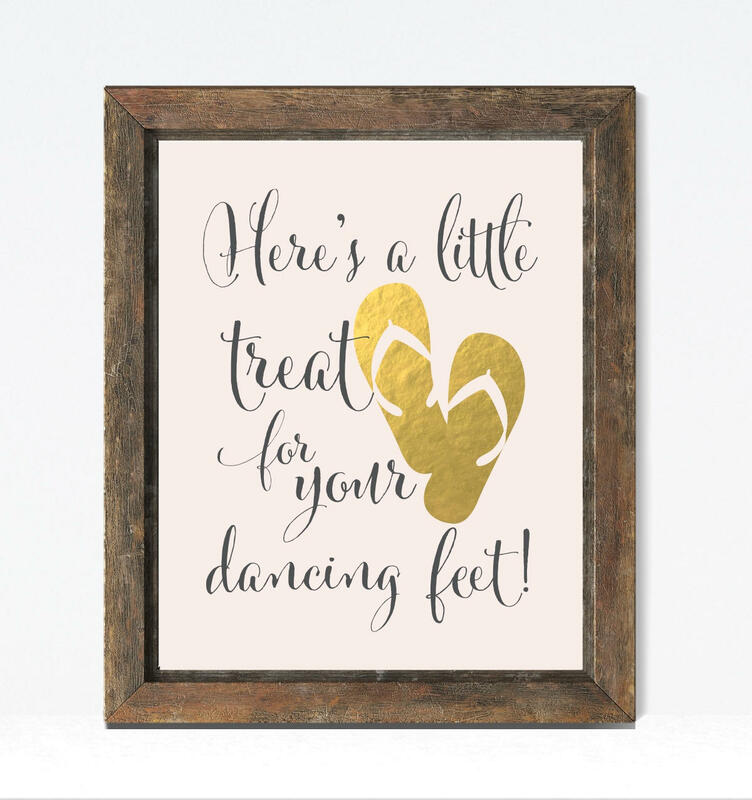 Place this super cute sign by the flip flop for wedding guests basket. 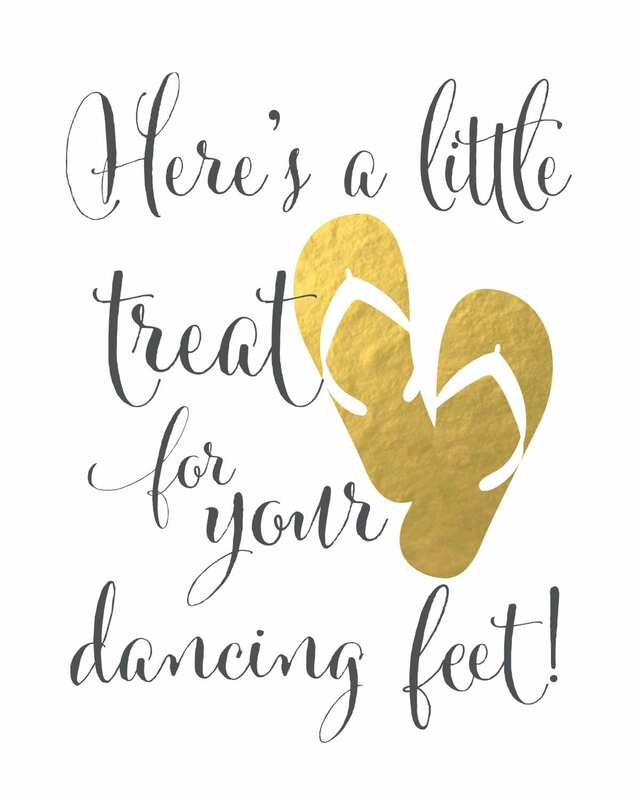 You want you guests to dance and you've planned ahead by offering them an alternative to shoes. No sore feet when you dance in flip flops. This is a Instant DOWNLOAD file. No physical print will be mailed. Available for download will be an 8 x 10 JPG file with a blush OR white background. This can be printed at home or uploaded to a photo lab. If you need a PDF file, please let me know and I will be happy to email one. This sign is not real gold foil. 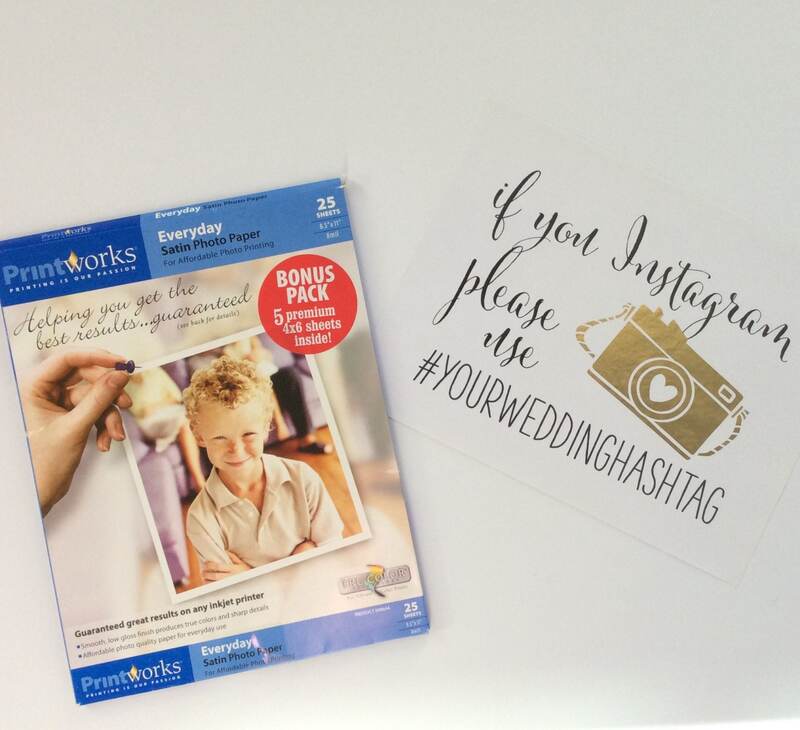 The faux gold foil is produced by the CMYK ink of your printer and printing on specialty photo paper.